Port Townsend, today. 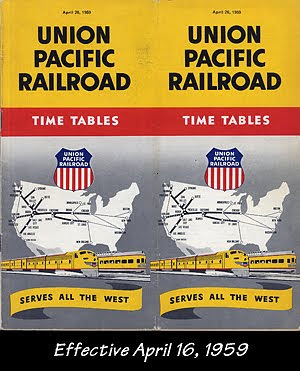 Generally speaking, not much happens of any significance here in the Pacific Northwest with respect to the rail industry. But the leaves have been rustling this winter. 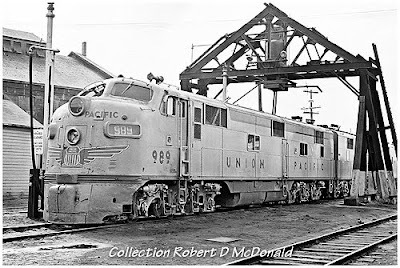 For more than 60 years, Continental Engineering & Equipment Company (CEECo) in Tacoma, Washington, had carved a niche for themselves, beginning with engine repair and rebuilding for Electro Motive Division marine engines. 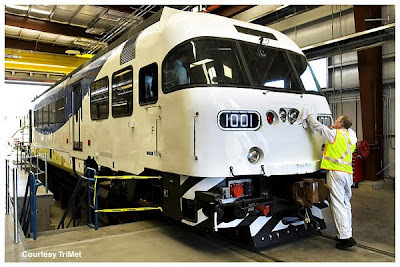 Over time CEECo became a very active facility rebuilding and refurbishing rail cars and locomotives. Every arrival was met with “arm chair speculation” in on-line forums as to what treatment each locomotive was scheduled to receive. And, of course, the ubiquitous rail photographers encircling their facility like a pack of wolves! 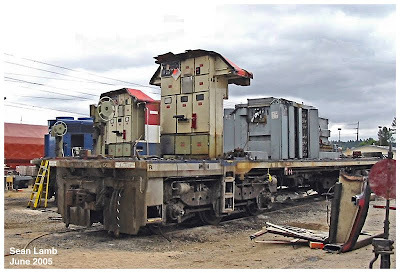 Two high profile projects completed at CEECo included the dismantling of six GF6C electric locomotives designed and built for the Tumbler Ridge Subdivision of BC Rail. 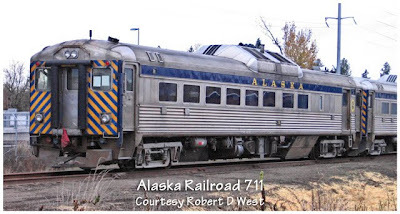 And, the rebuilding of the narrow gauge White Pass & Yukon locomotives, following a deadly derailment in Alaska. This “Bing Bird’s Eye” view of CEECo was apparently taken in early 2009. How many locomotives can you locate? The odd looking structure with the elevated round doors had nothing to do with CEECo’s processes. That is a heat-treating structure, used in the manufacture of oil field equipment, dating back to the halcyon days when the Tide Flats industrial area Tacoma was awash in projects destined for the North Slope oil fields. As the economy deteriorated, more than 5,000 locomotives were parked on sidetracks with coffee cans on their stacks. An estimated 40,000 rail cars were parked gathering cobwebs. 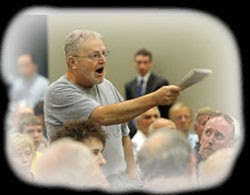 The inevitable trickle down effect hit CEECo in 2009, with it’s president, Dave Swanson, locking the gates in July last year. 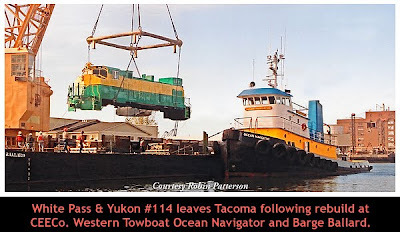 In November last year, the City of Tacoma’s Port Commission gave the high green to Progress Rail Services (PRC) to purchase CEECo’s facilities. PRC will lease the 14 acre site from the Port of Tacoma, on the Tacoma Tide Flats, through 2029. As a subsidiary of Caterpillar, PRC is packing heavy iron in aggressively pursuing two markets: locomotive and rail car servicing. And engineering, track and signaling maintenance of way services. PRC manufactures you know, the low profile “looks kinda like a yard switcher,” with up to three caged “Cats” on board! Like the proverbial Phoenix rising from it’s ashes, Dave Swanson (CEECo) has arisen with several of his former employees, as President of Global Locomotive LLC, operating as Global Locomotive Technology Center, near Tenino Washington, adjacent to the old Chehalis Western right of way. Global will be aggressive in motor updating, promoting the “Controlled Locomotive Engine & Repower System” (CLEAR). CLEAR is offered as a kit or in house solution to upgrade diesels to meet Tier 3 and 4 emission and performance standards. 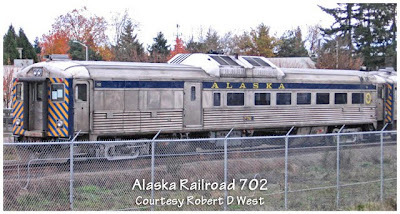 Apparently the White Pass & Yukon locomotives are back in the area, being Global’s first paying customer to receive the CLEAR treatment. Global has other locations in Australia, New Zealand, China, and India. With work apparently still flowing into Westinghouse Air Brake Technologies Corporation (WABTEC), the former Morrison Knudsen (MK) in Boise, Idaho, hopefully this “restructuring” of assets here in the Pacific Northwest will allow all operations to be successful. Lord knows the jobs are needed, and they will benefit each community. Even the ubiquitous rail photographers will have not one, but three facilities to stalk like a pack of wolves! Port Townsend, today. From time to time we need to do a little house cleaning around here. And "the time has come to speak of many things ..."
An optional "Comment" entry is available at the end of each article. The purpose being to encourage you to add to the story; to share an antidote or similar experience. I am acutely aware of mis-information propagated through user groups and forums. 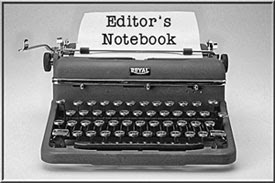 I spend a lot of time to verify my writings. "Praise in public; admonish in private." If you feel strongly about an issue, write a message in the "Contact Me" form located in the right margin. If you are civil and cool, we may dialog. Despite the fact we have requested that broken links (red hyperlinks to other pages) be reported so we can fix them, for some unknown reason, this is not happening. 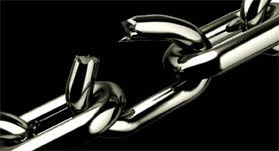 With more than 400 articles posted, I have never received a note reporting a busted link. And they are there; I've discovered a few in spot checking certain articles. Broken links happen for a number of reasons, most beyond my control. • Web Sites get reorganized without installing pointers to new pages. • Pages are dropped for any number of reasons. • "Hobbyist" bloggers like myself, lose interest and lose domain name. •"404 - page not found," indicates possible server problems or busy pages. If you encounter a broken link, please take a moment to fill out the "Contact Me" form in the right margin. SEATTLE - February 18, 2010. It was a massive exhaust plume from three freight locomotives that filled up the inside the mile-long railroad tunnel running under downtown Seattle on Tuesday morning. The amount of smoke even triggered a response by railroad and Seattle Fire Dept investigators. Gus Melonas, the spokesman for the Burlington Northern Santa Fe railroad told KING 5 News this afternoon that the smoke was diesel exhaust from a lash up of three freight locomotives that had stopped inside the tunnel then started up again. He says normally the air from Puget Sound pushes any residual smoke out of the mile-long tunnel that begins just north of King Street Station on the south and ends near the Seattle waterfront. He says it's not known why the locomotives that were not pulling any railroad cars had stopped inside. While smoke inside the tunnel is normal from passing trains, this plume got everybody's attention Tuesday morning as the last Sounder commuter train arriving from Everett slowed to a virtual stop because for a brief period the engineer complained he couldn't see ahead of the train. Passengers complained of heavy amounts of smoke that came inside. Sound Transit, which operates the Sounder commuter trains says that the crew should have made an announcement to passengers about the heavy smoke, and that the transit agency will make that a policy in the future. The Seattle Fire Department says there was no fire, which had been suspected early on. The fire department does operate a truck with a special fan to push or pull air through the tunnel if people are ever trapped inside. The Seattle railway tunnel was constructed by the Great Northern Railroad to bypass traffic along the waterfront. 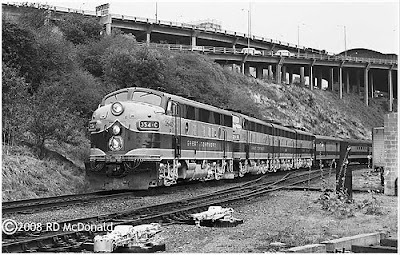 Here's a shot I took of the Empire Builder just emerging from the north end of the tunnel in August, 1960. I opened this piece by stating that the life of a commuter was, at best, tedious. Read the following story; need I say more? 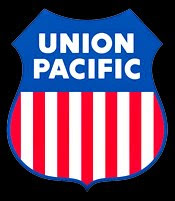 IRVINE, Calif. (AP) — A man who lost his hand after being dragged by a commuter train two weeks ago in Southern California has been hit by a train again. The sheriff's department investigated the first incident as an accident. 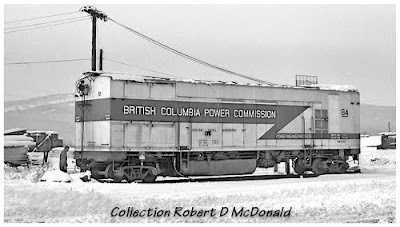 BC Hydro #84, Burns Lake, Telkwa Subdivision, Tie Spur MP 34.6, November 25, 1959. Need your help with this one! 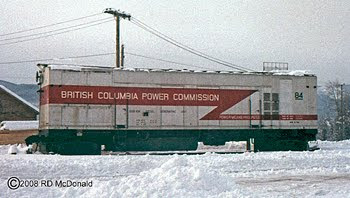 I do know this is an emergency mobile 1,000 KW diesel generator, used to supply power to communities that have lost power. 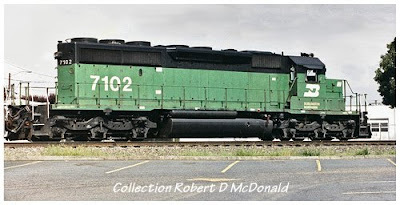 From what I have determined, General Motors Division (GMD) London Ontario built about a dozen of these rail car power units. Please let me know if you have any substantial information about these units. Those are definitely GMD cab unit entry steps on this car. I guess at the time you think, “I’ll remember this and that.” But as time goes by, and the settings of life change, the information is lost. This one really stymied me though, for two reasons: First, I had absolutely no interest in the Burlington Northern, and second, "Big Sky Blue" and “Cascade Green” are perhaps the ugliest paint schemes to come out of corporate. Yet there are not one, but two shots of this locomotive. And of course, not a damn thing on the back of the photos - save a small machine stamped date: May. 1989. Slowly but surely pattern matching began taking place in my mind: While the striped parking lot looks like the train station in Vancouver, the station has a raised sidewalk and plantings. So it wasn’t taken at the Amtrak Station. Ah! May 1989. That was the year Patti and I got married at the Crossing Restaurant. And that is the back parking lot adjacent to the old Spokane, Portland & Seattle main (now BN. Well, now BNSF.) So I did not take this photo; Patti did. With her brand new Nikon 8008 that I got her for a wedding present. Thus vindicated that I did not shoot a BN greenie, I wondered if "The Crossing" was still there. I emailed an acquaintance down at the "Colombian" in Vancouver. She responded yesterday confirming that it was gone. "Location, location, location." The Crossing Restaurant opened with great promise in 1975. The owners were restaurant savvy, with a proven track record in the area. While it was easy for the owners to crane their cars off the adjacent mainline, it was sequestered several blocks away from Main Street in the industrial area of Vancouver. 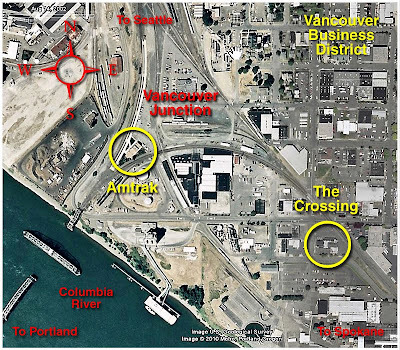 Looking down from the satellite, you can see the relationship "The Crossing" had to the Vancouver Amtrak station. 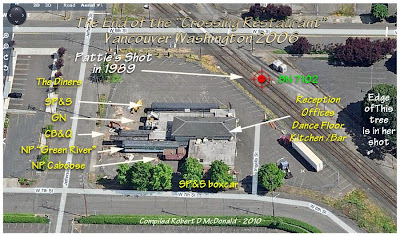 "The Crossing" was adjacent to the old SP&S (now BNSF) line, which made it easy to move six rail cars onto the property, thus creating a rail theme restaurant. 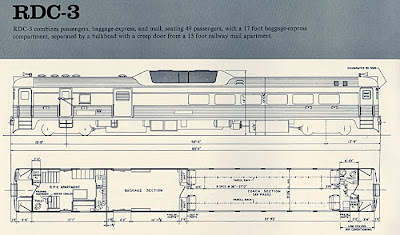 The "site" was built around three dining cars; Spokane, Portland & Seattle, Great Northern, and Chicago, Burlington & Quincy. For meetings (and weddings) the Northern Pacific business car "Green River" with its magnificent dark mahogany woodwork and original massive mahogany conference table at one end. 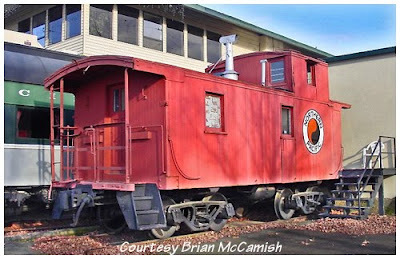 Rounding out the "site," a Spokane, Portland & Seattle boxcar for storage, and a Northern Pacific caboose used as an office. Everything was joined together with space for offices, reception, kitchen, bar, and dance hall. Pattie and I were married in the Northern Pacific "Green River" in May 1989. 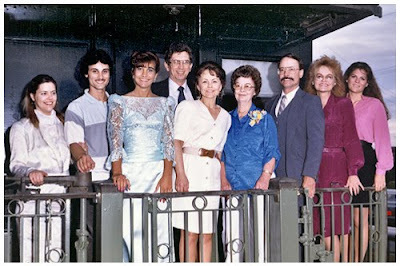 Here the obligatory wedding party photo, on the rear deck of the "Green River." It was a favorite venue for our Chamber of Commerce “Business to Business” after work mixers. I took business contacts there for lunch or dinner, simply because I was a “rail fan.” But it just never clicked with the population, due mainly to it’s out of the way location. 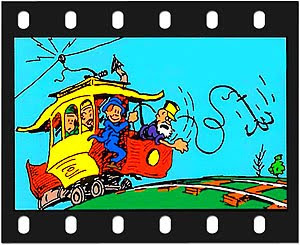 I understand the final operating name was "7th Street Station." After 31 years of struggling under various owners, it unexpectedly shut down just after New Years 2005. It sat idle until it was sold and trucked away, beginning in January 2006. In this Microsoft "BirdsEye" view, you can see heavy equipment "digging" the cars out for removal. Apparently some fellow in Beaverton Oregon bought the cars. There was a lot of HO equipment on display, along with other memorabilia, some of which was auctioned off on eBay, and a collection has been donated to the City Museum. Let me know through the “Comments” below if you know where the rolling stock ended up! 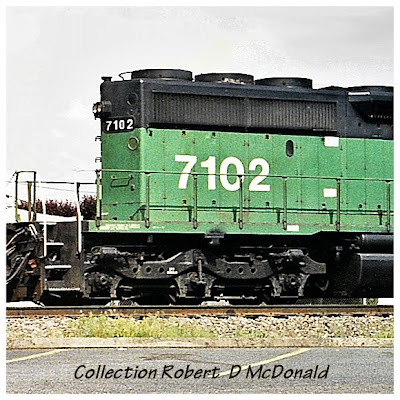 Railroad Stuff: Burlington Northern 7102, built by General Motors as a 3,000 horsepower Special Duty (SD) 40-2, in LaGrange Illinois, November 1978, serial number 786166-28. Became CEFX (CIT Group/Capital Finance Incorporated) 7102, and renumbered again CEFX 3175. Photo Credit to Brian McCamish, who has a lot of cabeese photos! See also: Annoying Loose Ends.